Edwin McKnight grew up in The Fair Country and has spent most of his life there. Good friends, a horse named Cactus and a great love of wood and field formed the back drop of an almost idyllic youth. Edwin began milking cows at the age of fourteen and spent his summers farming, horseback riding, swimming, fishing and reading. The milk check was ready every two weeks and so, every two weeks was “town day”. That didn’t mean the family didn’t go to “town” any other time, but it did mean one thing; money for books! No matter what else had to be done on “town day”, the trip ended up at the book store. The Fair Country is a place were, at times, you can only hear the sound of The River flowing or the soft sounds of nature. For the last 31 years, Edwin’s “town days” are spent running a Benefits, Insurance and Financial Services company in Murfreesboro, TN. And even after all this time, his favorite place is still on part of the original farm where he lives with his wife, Edna. There is a land that is fair to look upon. A river flows through rich farm land, and meanders on into the deep, lush forest. Wildlife abounds and the inhabitants of the land give thanks for these blessings. Alas, it was not always so. There was a time in the distant past when evil beings roamed the land, cast a dark shadow over all who dwelt there. But those dark days are long past. The great trolls grew fewer in number until now they only live in legends and tales told around the fireplace at night. A young man named Caius heard the stories, and wondered if perhaps any such creatures still roamed the earth. 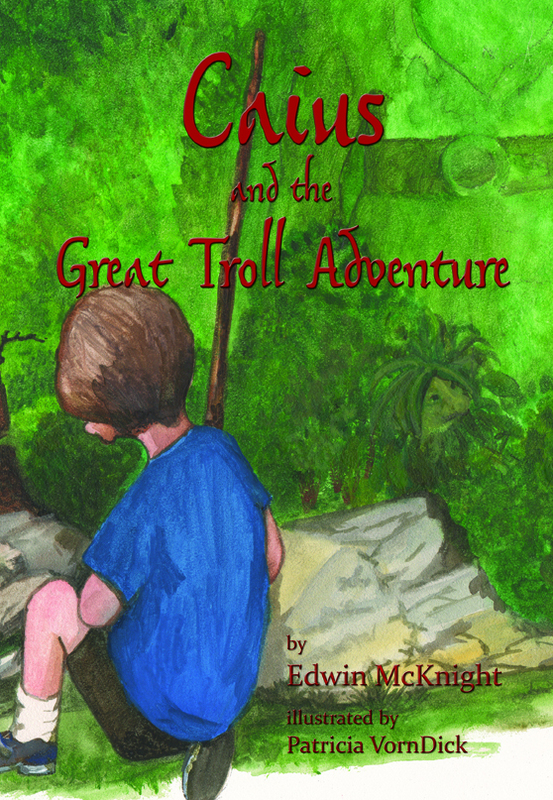 He set out on a quest to find…Trolls! What a fun and very imaginative book to sit and read with children. The illustrations are gorgeous and the story is so very well written! Highly recommend!